Cats love being up high so they can view their surroundings from a safe vantage point, and enjoy a good catnap undisturbed! 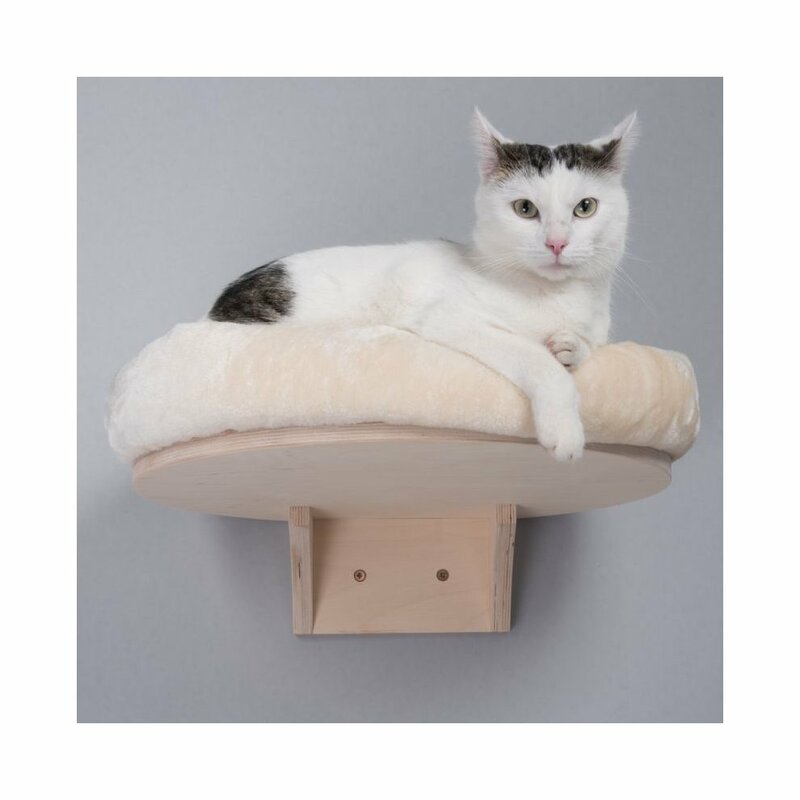 With the Natural Paradise Wall Mounted Cat Bed you can provide your cat with a comfy den in the ideal position, high up on your wall. 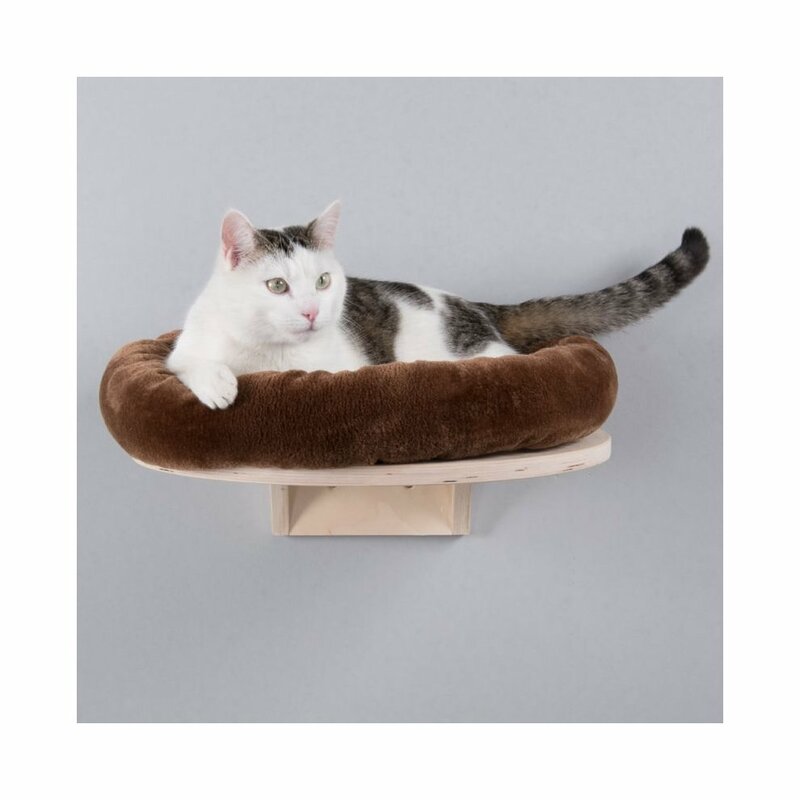 The bed is also perfect for connecting your existing furniture together, making cat trees, cupboards and bookshelves into an exciting playground for your cat. You could even combine more than one bed in a stepped arrangement, allowing your cat to climb higher and really escape from it all. 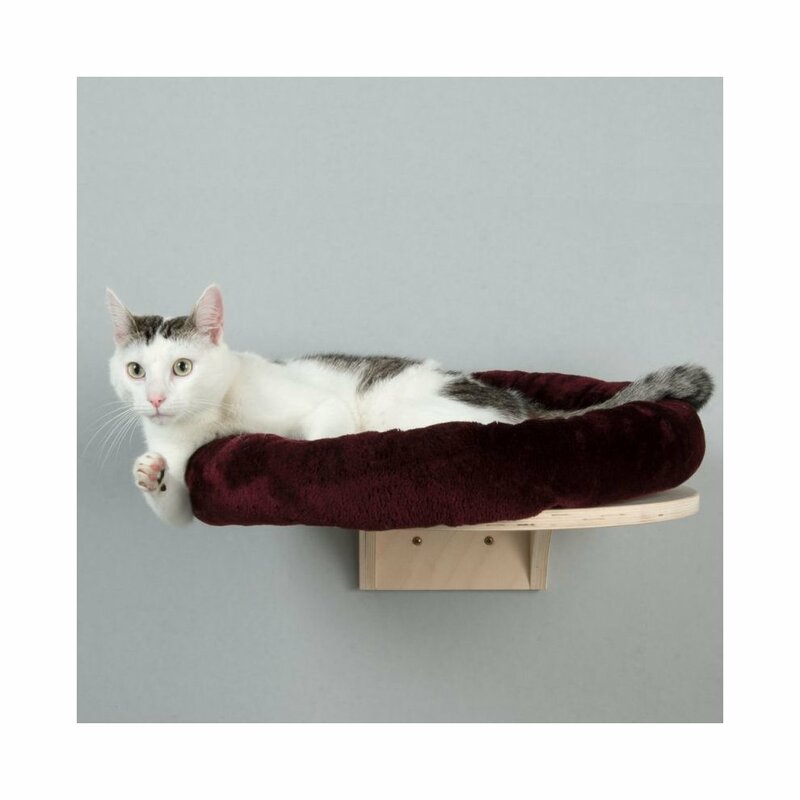 The shelf of the Natural Paradise Wall Mounted Cat Bed is made of untreated plywood from sustainable forestry . The snuggle bed is attached to the shelf using Velcro strips, making it stable and secure, but also easy to remove for washing. The bed itself is extra soft and snuggly, with a comfy padded border for your cat to lean on. The lying area is padded and quilted, keeping the soft filling in place. The bed can be machine washed at up to 30°C. 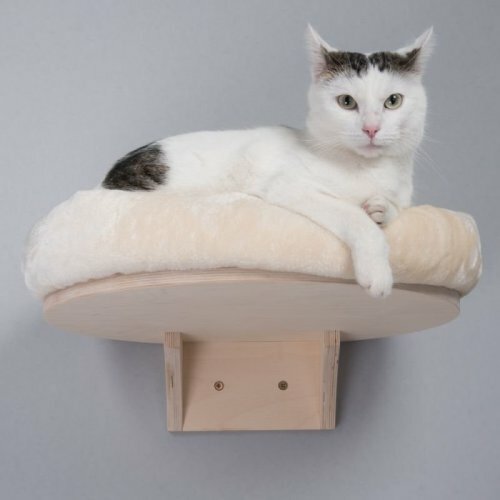 It is a great alternative or addition to traditional cat trees. Carefully test the area you wish to attach the bed to, checking that the consistency and structure of the wall is strong enough to support the weight of the bed and your cat. Please ensure that you use the appropriate screws and anchors for your specific type of wall (screws not included with the product). Test the stability of the wall bed before letting your cat use it. The stability should be checked regularly and the screws tightened if necessary, in order to prevent potential injury to your pet.